We were ducking what seemed to be the hundredth set by Scripps Pier when Kyle pointed to the Cove. Whitecaps touched the cloudy horizon, something we had both seen only in pictures. Each caught our last waves to the sand and darted to The Cove. The word was out. Bodies lined the cliffs, all clamouring for a clear view of the breaking waves. There were two guys who weren’t interested. They were running, literally running down the cliffs with fins in hand. On first sight, Kyle and I exchanged raised eyebrows. It seemed evident these guys were making a big mistake. The older of the two wore a wetsuit that looked to be of the 90’s and their fin of choice was a short pair of Hydro Techs. Furthermore, they were running the wrong way. Making their way back up the hill, we hesitantly pointed them to the entry spot. They thanked us with a heavy South African accent whilst disappearing down the hill. His grin nearly curled behind his ears, and that is how we met Robin Mohr. Bloemfontein is a small town landlocked in South Africa. His family would vacation at the beach in Capetown where he became enamoured with the ocean. He’d play in the waves with a joy he recounts readily. Robin took to surfing as he did other pursuits that make the heart go thump. He dedicated much of his efforts at a young age to running marathons, but due to unfortunate timing his campaign to compete on the highest level for his country was impossible. The life of an athlete is structured. Each meal carefully constructed and each beer a challenge to your resolve. For Robin, bodysurfing is a counterbalance to the years of careful calculation. “I don’t want to hear another whistle or see another stopwatch,” he stated with his ever-present grin. Robin speaks warmly of his time as a runner and the camaraderie of running with companions. Due to his slight frame, he earned the name “Wednesday Legs” as in When’s they legs gonna break? Robin still pushes that frame, only now he does it in the water. Robin began bodysurfing after a surfing injury. He waded into the shallows with old diving fins returning with one. Each time he swam back out he tried something new and each time his bodysurfing becoming more sophisticated. He moved from shorebreak into bigger and heavier breaks. Robin noticed that as the break became heavier the crowds became more respectful and so he found himself drawn to bodysurfing the heaviest spots he could get to. Eventually his horizons expanded beyond his local shores and he took to the sails. Scouring GoogleMaps he picked a point in Costa Rica that looked like it would have an amazing wave. After a few phone calls he found someone willing to trade an empty room for work. It was in this place chosen by providence and secured through Robin’s charm that he met his wife, another gift from the boundless Ocean. Robin’s penchant for heavy breaks has landed him in hairy positions. The most humbling of which being his session at Dungeons. 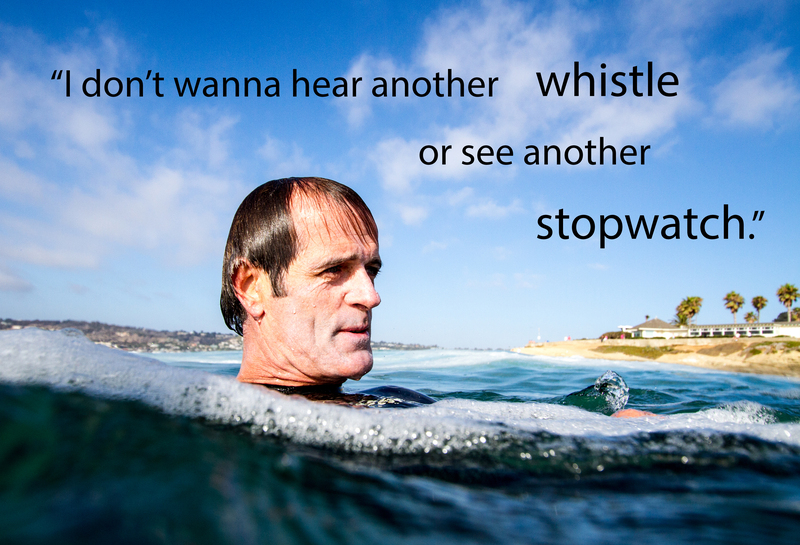 He sat in the boat for hours watching some of the world’s best big wave riders trade waves. When one of them finally offered him a lift to the take-off it was too late for second thoughts. He had planned a perfect entry, but his ski driver (a big wave legend with a concussion unbeknownst to the rest of the crew) was sure he had the best spot for Robin. After staring down the cliff of a wave he swam into, Robin left that session like any other session, exhilarated and a little wiser for the next go round. 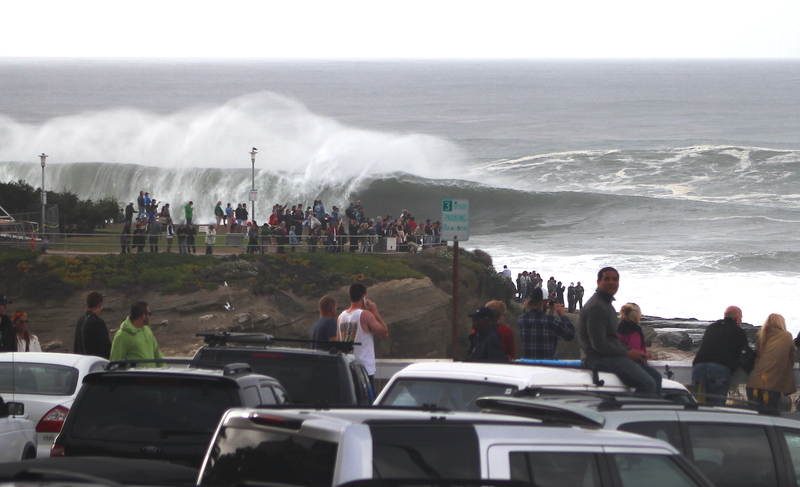 Robin talks about riding giant waves with reverence. The moment you exchange looks with your buddy and he knows exactly what is happening. The time-warp you experience as your life depends on each and every breath. The wave riding experience, enhanced by the magnitude of your own situation. He’s found some comfort in it all despite what others may think. Turns out that day we saw Robin, amped and ready to throw his body into the roaring Pacific, we weren’t the only ones who were skeptical of his ability to navigate the line-up. The lifeguard tried to talk him out of taking the plunge, warning that he’d have to pull him off of the rocks. Robin smiled and told him to make it interesting. He scored amazing waves and won a burrito dinner that night. His deep connection with the Ocean never ceases to reward.